Social networks are always coming up with new ways to compromise your privacy How to Secure Your Social Network Privacy for the New Year How to Secure Your Social Network Privacy for the New Year People are starting to wake up to the threat an unsecure social media account poses to their online privacy and security. It's time you secured your accounts. Read More , and in 2018, the first annoying new setting comes from Instagram. 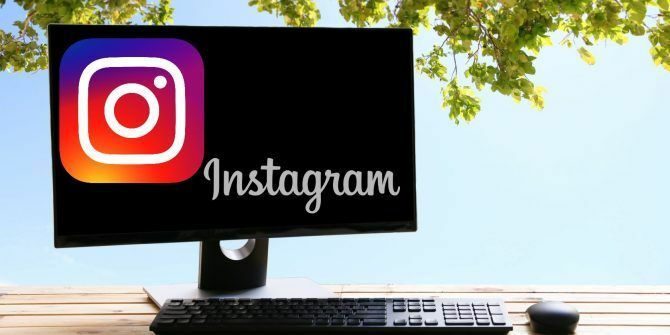 Its apps have a new setting 10 New Instagram Features You Need to Know 10 New Instagram Features You Need to Know Instagram initially made a name for itself with its filters, but the social network keeps adding new features -- and some of the latest ones look awfully familiar. Read More that allows accounts you follow (plus anyone you’ve messaged) to see when you were last online. This isn’t a terribly invasive feature, but it’s just another way for people to know what you’re doing every second of the day, and you probably want to browse Instagram without others being able to see that you’re online. And because Instagram enabled this without telling anyone, it’s really rubbing users the wrong way. Open the Instagram app on your iPhone or Android device. Switch to your profile by tapping the person silhouette icon on the far right of the bottom bar. On iOS, tap the Settings gear icon next to the Edit Profile button. Android users should instead tap the three-dot Menu button in the top-right corner of your screen. Scroll down to the bottom of the Settings menu, and you’ll see the new Show Activity Status option. Disable it and you’ll stay under the radar. Once you turn this off, you won’t see other people’s activity status either. If you keep it on, you’ll see when they were last online in your list of Direct Messages. Now go and browse Instagram The 10 Most Followed People on Instagram: Should You Follow Them Too? The 10 Most Followed People on Instagram: Should You Follow Them Too? This is not our top 10 of Instagram. It's actually the top 10 accounts based entirely on the number of followers each one of them has. Do they merit the hype? Should you follow them... Read More in peace! Do you mind sharing your online status with others on Instagram? Let us know if you disabled this feature down in the comments! Explore more about: Instagram, Online Privacy.